We have achieved reliable operation of a tunable, single-mode injection-seeded Nd:YAG laser that incorporates a novel feedback scheme to maintain the required match between the master- and slave-resonator cavity lengths. 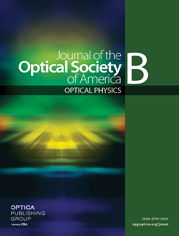 The reliability of the system is illustrated by both fluorescence excitation and sub-Doppler polarization spectra of I2 taken with the second-harmonic output of the slave laser while temperature tuning the injected frequency from the master oscillator. These spectra should prove extremely useful for long-term stabilization of the system to an absolute frequency reference.